After resting overnight in the Borderlands Tavern, the party returned to the abandoned temple, to investigate the stone crypt that was as of yet unopened. With Adrog’s help, the stone lid was moved aside and within they saw the desiccated remains of the 1st Abbot of Larm, Brother Denzel. He appeared undisturbed and the party wisely covered the sarcophagus back up and retreated from the old temple, their job finally done. Arsenios took the lead, questioning the Mayor, the innkeeper Jebediah, and guard Commander MacMillan about the particulars of the oak tree. He learned that each Friday night, all the villagers meet around the “Olde Oak” celebrating creation, as told by the Holy Book of Glenys. This celebration consists of dance and plenty of drink, and usually only ends when the last person is no longer able to stand without help. The past few months the townspeople had noticed that the tree appeared sickly – with leaves brown and withering in ever-greater numbers. Rumors circulated that if the tree died, the Village of Larm would die with it, and anxiety spread. As it happened to be Friday, and about 5 hours before the celebration started, Arsenios and the others decided to quickly investigate the tree itself. They made the short walk to the large, fenced-in lawn on the bank of the river Dolm, and examined the area. The majestic tree did indeed appear to be dying, the only potential clue was a large patch of damp, darkened soil on the side of the tree facing the river, as if a large bucket of water had been poured there but did not evaporate. Melian took a small bit of the darkened soil and put it into a pouch, and the party returned to the Borderlands Tavern, asking who in town could confirm the presence of poison in the soil. Jebediah offered the name Gareth Holtz as a rogue of some notoriety who lived in town and who might be able to examine the soil, for a price. After a hearty lunch offered “on the house” by Jebediah as he had heard of their success with the old temple, the party headed down the road to the Holtz residence. They approached small and nondescript residence and Arsenios knocked on the front door. A voice from behind them spoke “I’ve heard you might come looking for me, state your business!”. A slender man with dark features and a prominent sword belt emerged from a copse across the street and approached the party, hand on hilt. With that, Arsenios displayed the pouch but kept it in hand. Some haggling ensued, and the agreed upon price was 25GP. Melian relinquished the pouch, and without a word Holtz entered his house and closed the door. With nothing left to do, the party waited. After about half an hour, Holtz emerged from his house and stood before the group. He held out his other hand, expecting payment. “Nothing more than that, I don’t know why you think this is poison, it’s clearly nothing more than a bag of dirt. I’ll take my 25 gold and you may take your leave,” Holtz said as he moved his hand to his sword. Thus warned, the party returned to the tavern and waited, walking to the Olde Oak just as the sun was setting, joining most of the town, including the Mayor and Commander MacMillan. News travels quickly in Larm, and the party found themselves the center of attention, as word of their exploits in the old temple spread. The party availed themselves of some fine food and drink and waited, watching for anything that seemed out-of-place. Holtz appeared after a time, with his wife and three children in tow. He made no mention of the incident with the soil, in fact he ignored the party and spent most of his time near the ale taps, drinking heavily. After several hours Holtz was having trouble walking. It was then that Arsenios noticed him stumbling towards the Olde Oak, a full mug of ale in hand. He tripped over a root, spilling his beer on the ground. As Holtz stumbled towards the ale taps again, Dai approached. “I can’t believe my companion did not pay you the agreed price. I don’t blame you for being mad,” Dai said. “He will pay, one way or another,” Holtz said calmly, a bit of a slur in his voice. Without warning, Dai moved closer to Holtz and yelled to the crowd “He pickpocketed me!”, then swung his fist into Holtz’s face, knocking him back. Holtz was stunned for but an instant, then leaped at Dai, striking back and connecting with a solid blow himself. A gasp went through the crowd, as people scrambled to get out of the way. Arsenios and Adrog joined in the melee, but Holtz was both tougher and far less drunk than he appeared, and he held is own until the fight was broken up by Commander MacMillan and three of the Village guard. In the confusion, no one noticed how quickly the guard seemed to arrive, but the villagers were glad for the fight to end. “Come, we will take you back to the guard barracks, where you can cool off,” the Commander said. The Commander motioned to the two guards who held Holtz. The other guard motioned to Dai, Arsenios and Adrog to come along. Holtz stared at Arsenios, but said not a word. The guards escorted the group to the barracks, and as they did so one of them reached into a pocket on Holtz’s tunic, and withdrew a small, leather pouch. Holtz reached for the pouch and struggled to break free from the grip of two guardsmen, who, along with the third, jumped on him and bound his wrists together. “You will all pay, mark my words…” Holtz sneered as they continued to the barracks. Once in the barracks, Holtz was taken to a room for interrogation and the guards handed the pouch to Commander MacMillan. He opened it, giving it a sniff. His face twisted at the foul smell of the black, sandy substance within. He offered it to Arsenios, who noted the smell. 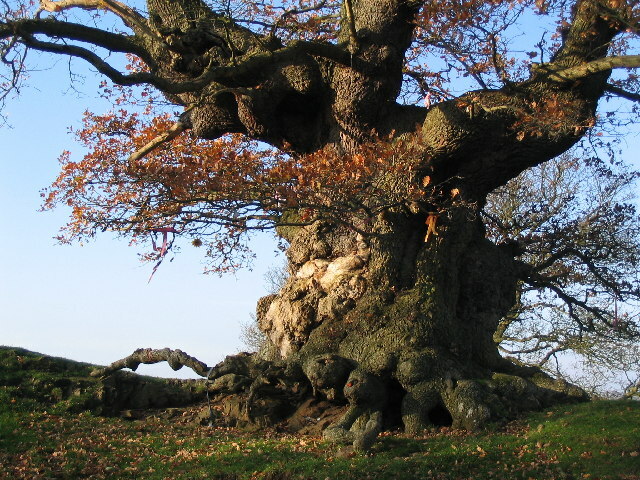 “It seems we have found who and what was killing the Olde Oak. I have some contacts in Dolmvay who can verify that this is indeed poison, in the meantime we will interrogate Holtz and present him to the Mayor in the morning. Many thanks for your fine work on this, you are truly friends of Larm – at least most of Larm,” said the Commander with a grin.